The current glorious spell of sunshine here in France has got me thinking about dusting off the BBQ and for me that can only mean one thing; sweetcorn. I find it difficult to come across sweetcorn in the supermarkets here in France and when I do it tends to be expensive and vac packed! Home grown sweetcorn is without a doubt one of the greatest treats you can give your taste buds, especially when freshly picked from your garden and immediately cooked on the BBQ; it just bursts with sweetness. April is the perfect time to sow sweetcorn under cover in readiness to be planted out in May. The sweetcorn seeds should be planted in individual modules to avoid root disturbance. 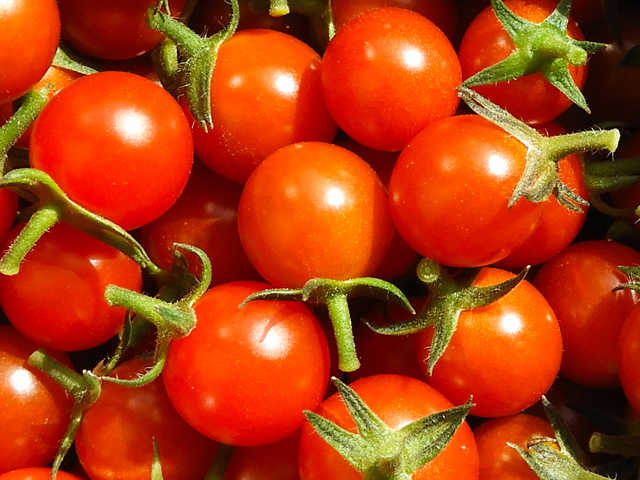 Plant the seeds 2.5cm deep, and as with other vegetables, it is best to plant two seeds in a pot so that the weakest can be discarded. 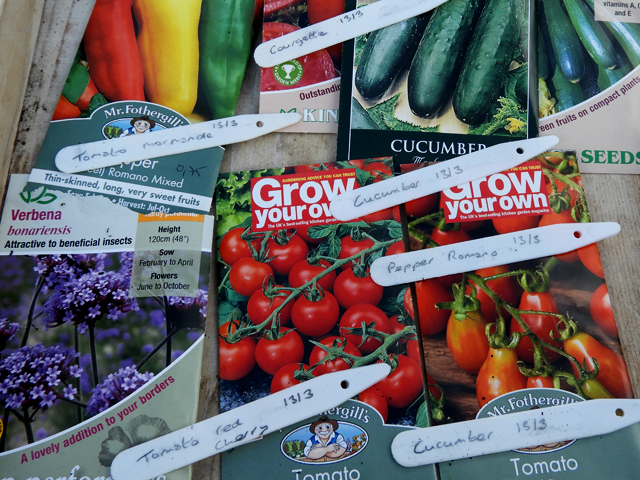 Place the pots in a warm spot to germinate, a window sill is ideal, though I will admit that I do tend to force the seeds by putting them in my heated propagator, but you certainly don’t need to. Two or three weeks prior to planting out, spread a little general fertiliser over the planting area so the seedlings get a little food boost upon going into the ground. Sweetcorn is wind-pollinated and must be sown in blocks about 45cm apart rather than in rows. The male flowers which are produced at the top of the plant will shed their pollen down onto the female tassels which form along the stem of the plant. This is where the cobs will appear once pollination has taken place. 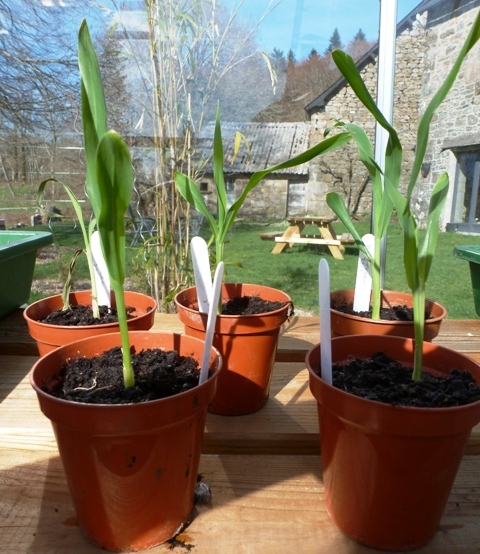 Each plant will produce 1-3 cobs which will be ready for eating about 14 weeks from sowing. Ensure that the plants are kept well watered so that the kernels plump up inside the cob. The cobs are ready to eat when the tassels turn brown. 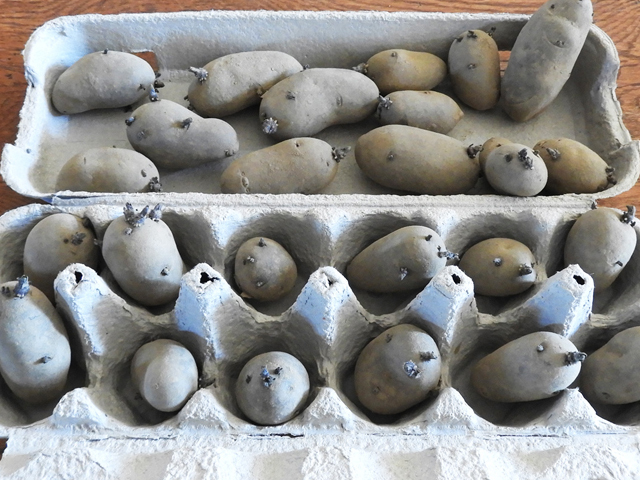 Before picking you can double-check that they are ready by carefully peeling back the outer leaves on the cob and pinching a kernel. If the juice is milky then the cobs are ready to eat. 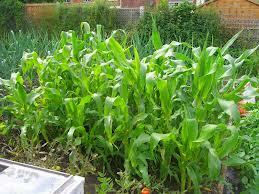 Whilst I love to eat sweetcorn I also love growing it in my vegetable garden as an ornamental plant. Sweetcorn plants produce tall, bright green, grass-like structures which I think look stunning mixed in amongst your other vegetables or even in a flower border. Sweetcorn look as good as they taste! This year I am growing Sweetcorn ‘Sweet Nugget’ from Sarah Raven. The problem is it’s only April, so now I’ve got to be patient for a few months until the sweetcorn is ready to BBQ, but at least I can admire the plants as they grow! Sweetcorn on the BBQ sounds great Katherine. Thanks for the ‘grow your own’ advice.